These have been fundamental questions about the universe since the dawn of humankind. Surprisingly, we recently found that we know only about 4% of the universe composition. Remaining parts are made of "dark matter", which has never been detected directly, and "dark energy", which is much more mysterious negative pressure accelerating the expansion of the universe. What on earth are these "dark" things? How do they exist around us? How have they been acting on the visible entities in the universe such as stars and galaxies? 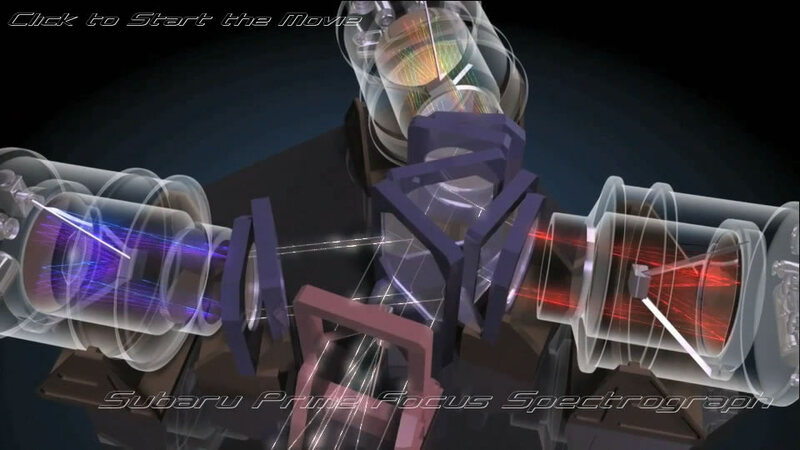 The Subaru Prime Focus Spectrograph project squarely aims at addressing these long-standing questions. The innovative instrument under development enables us to take exposures of 2,400 astronomical objects simultaneously on such a large patch of sky as several times bigger than the full Moon. Moreover, PFS is a spectrometer. Namely, the lights from stars and galaxies are dispersed and recorded as spectra simultaneously covering a wide range of wavelengths ranging from the near-ultraviolet, through the visible, and up to the near-infrared regime.